An effective classroom management plan is a MUST-HAVE for all teachers, regardless of years of experience. A classroom cannot function successfully without a plan in place for dealing with rules, procedures, and consequences. What is a classroom management plan? This is how you intend for your classroom to run. It is your detailed proposal for achieving a classroom environment that is conducive to learning. Often in college education courses, prospective teachers are asked to come up with elaborate classroom management plans that detail out their teaching philosophies, how they intend to lay out their classrooms, a list of positive and negative consequences, and more. 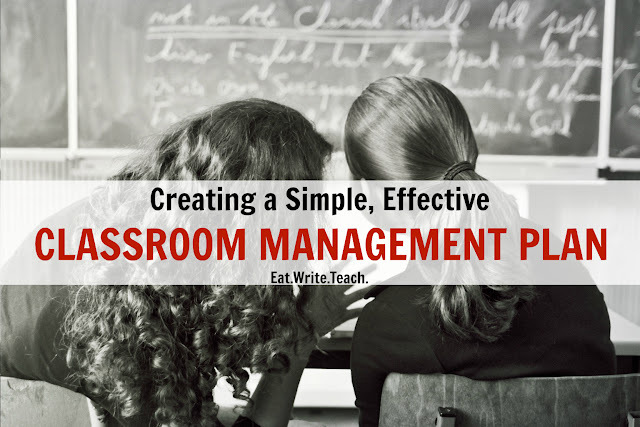 In practice, a classroom management plan should be much simpler than that. It is the list of expectations (for both you and your students) and the consequences of not meeting those expectations. What is the goal of a classroom management plan? The goal is to create a classroom that is safe and encourages learning. Our classrooms should be places where students expect to be respected and be given the best opportunity to learn. A classroom management plan helps us follow through on this promise. What kinds of rules should I put in my classroom management plan? The rules of your classroom are yours to make, but they should be rules that you will strongly and consistently enforce. Do not make the mistake of creating a rule and never enforcing it. 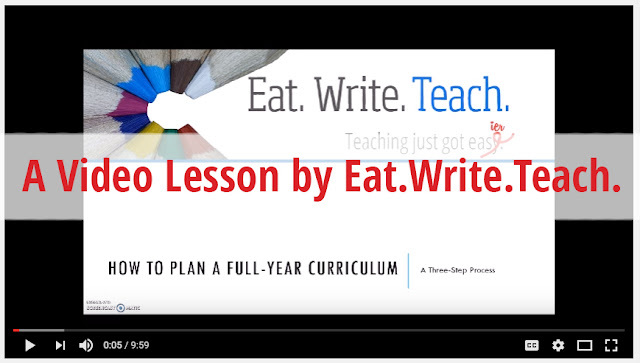 This will lead to a yearlong power struggle in your classroom. Students need to know that you are consistent, dependable, and fair. A general guiding principle for the creation of classroom rules is, "the fewer, the better." It is much easier to consistently implement five rules rather than twenty-five. What rules will be most important in helping you achieve the classroom environment you desire? What kinds of consequences should I put in my classroom management plan? Again, consistency is key here. Your consequences should be things that you can carry out swiftly, with as little disruption to the classroom environment as possible. I wrote earlier this week about making an example of students and coming down hard on all behavior problems. These are not always the best consequences. Come up with consequences that are fair, unemotional, and can be dealt out swiftly. Michael from Smart Classroom Management talks about his three choice consequences: warnings, time-outs, and letters home. If you want more information on those three methods, check out the post here. What kinds of procedures should I put in my classroom management plan? I cannot more strongly emphasize the importance of designing procedures and teaching them to your students. If this idea is new to you, start small with just a few. Ultimately, the classroom would be a well-oiled machine if you were to have a procedure in place for just about everything that goes on in your classroom. Think about potential behavioral pitfalls - students speaking in class, getting up from their desks, leaving the room, passing in homework. When are these behaviors acceptable? How should they be done appropriately? Elementary school teachers are the masters of teaching procedure - how to line up at the door, how to ask to go to the bathroom, how to behave at centers, etc. High school teachers should take note. We may not need our students to line up for bathroom breaks, but what is acceptable behavior in your classroom in regards to a bathroom pass? To help you in the development of your classroom management plan, I have created a FREEBIE for you! Download this Classroom Management Plan template (Word document) and simply fill in the blanks and print! For more inspiration, feel free to check out my classroom management plan for the 2016-2017 school year here. Note: I think it's a good idea to review your classroom management plan at the end of every school year. As you and your classroom evolve, your management plan should too. Not all rules will work for every single classroom. I made some changes myself this year. What rules, procedures, or consequences do you feel are necessary for your classroom?